Updated: 2:41 p.m. | Posted: 10:56 a.m.
President Trump is planning a visit to Minnesota on Monday. A person with knowledge of the visit tells MPR News that Trump is coming to Minnesota to promote the Republican tax law that took effect last year. The White House has not yet announced the visit, and the person who didn't want to be named and is not authorized to speak for the White House says Trump will likely be in the Twin Cities area, and that details are still being worked out. 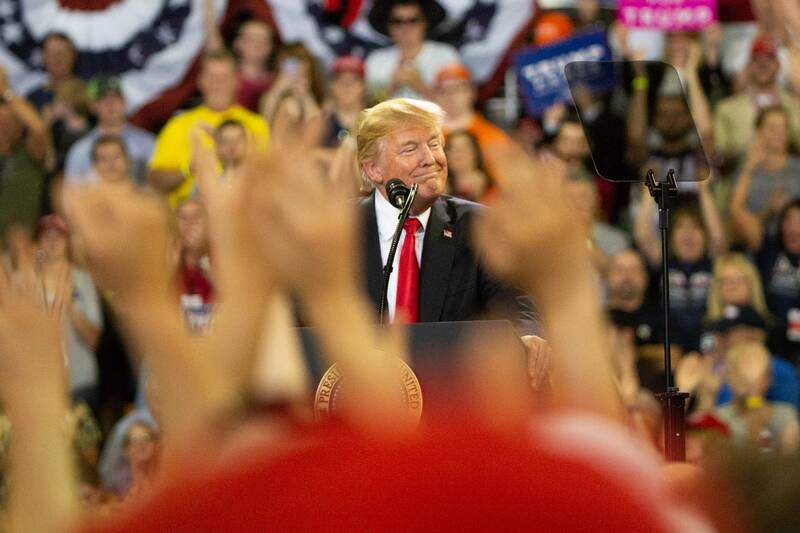 Trump visited Minnesota twice during the run-up to the midterm elections last year. He lost the state by fewer than 50,000 votes in 2016 and contends that with more visits he would have won. White House Press Secretary Sarah Huckabee Sanders confirmed the trip during a flight on Air Force One to San Antonio Wednesday.